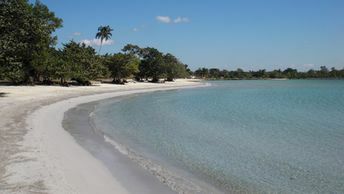 This beach ranks #17 of the "Best beaches in Cuba"
Horizontes Playa Larga Hotel Matanzas is the best hotel on the beach. It's located in the best part of the beach - in the east end. Room rates starts from $75 per night. The west segment of the beach has no real hotels, but there are a lot of Casas Particulares. This is the Cuban way to call family run guest houses. In most cases, you don't have to pre-book these casas. The weather on Cuba beaches is great all year round. Hurricanes are possible during the period from June to October, but this is relatively rare phenomenon.